Our next Open Education Around the World post comes from Kyrgyzstan (Кыргызстан, or the Kyrgyz Republic), a landlocked and mountainous country in Central Asia. The post has been written by Gulzada Urgunalieva, a Project Coordinator at the Roza Otunbayeva International Public Foundation (IPF) and Open Education Coalition coordinator. The IPF was founded in 2012 by the Former President of the Kyrgyz Republic, Ms. Roza Otunbayevawith with the objective of implementing programmes and projects that will contribute to the social, political and economic development of the Kyrgyz Republic. 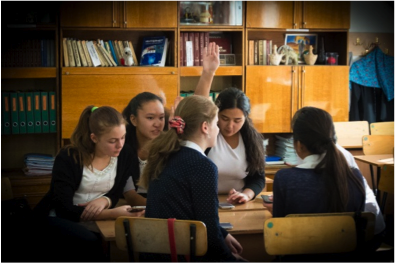 Currently there are positive changes in the promotion of Open Educational Resources (OER) in Kyrgyzstan. This movement was initiated by the ‘Soros-Kyrgyzstan’ Foundation (Open Society Foundation) in cooperation with other organizations. The Roza Otunbayeva Initiative International Public Foundation joined this initiative within the framework of the ‘Open Book‘ project at the end of 2013. The aim of the project was to assist in development of OER strategies and policy in Kyrgyzstan on the basis of existing governmental policies in education area. 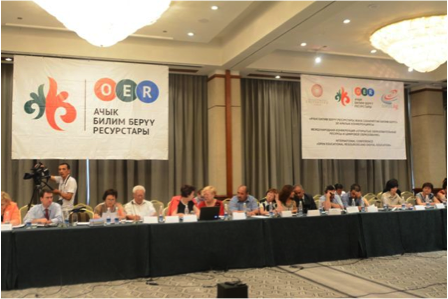 The project has analyzed the situation in the field of OER in Kyrgyzstan and provided recommendations for successful OER introduction in the national education system. The results of analysis were introduced at the international conference Open Educational Resources and Digital Education on June 23, 2014. The research revealed the advantages of introducing OER in Kyrgyzstan on a legislative and public level. 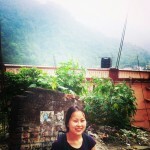 Researchers made valuable conclusions and recommendations, and presented strategy for further steps in OER development. The international conference Open Educational Resources and Digital Education was held on 23th of June 2014 in Bishkek. World OER practices, particularly, non-English-speaking countries such as Mongolia, Kazakhstan, Tajikistan and Russia were presented at the conference. 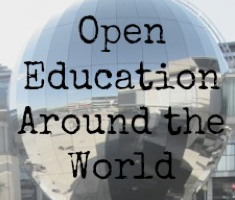 You can see the Bishkek Resolution on OER and Digital Education on the OER Impact Map. The next phase of the project was the work of experts in the area of education, IT and copyright on the draft Concept of promoting OER in Kyrgyzstan. This Concept defines the principles and directions of the national policy for the development of OER in Kyrgyzstan. It also provides the rationale for the policy, as well as basic definitions in the field of copyright and open licensing formats and interaction of education with the authors of educational materials, software manufacturers, publishers, teachers, students and children. The concept is the guide for National Action Plan of OER development of in Kyrgyzstan for 2015-2020 years. 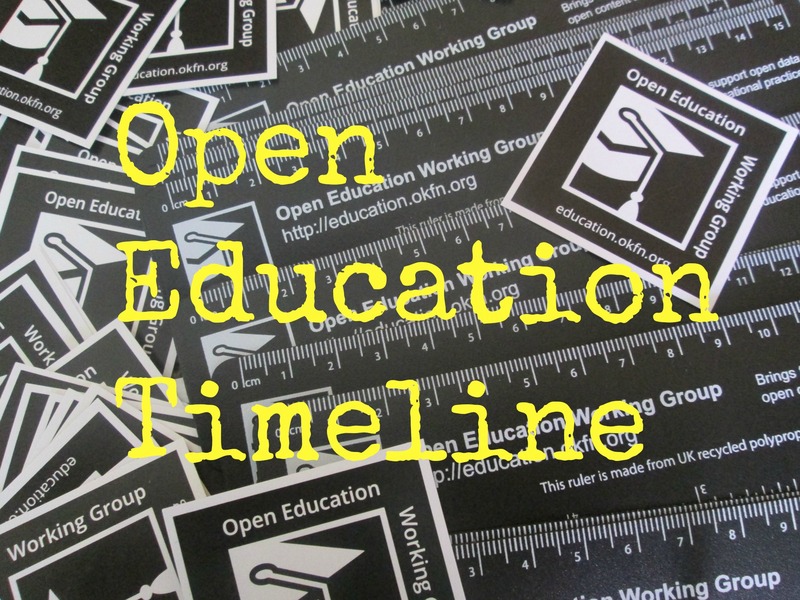 The next objective of the project was to form the Open Education Coalition as informal expert network consisting of representatives of civil sector, educational and non-commercial organizations. 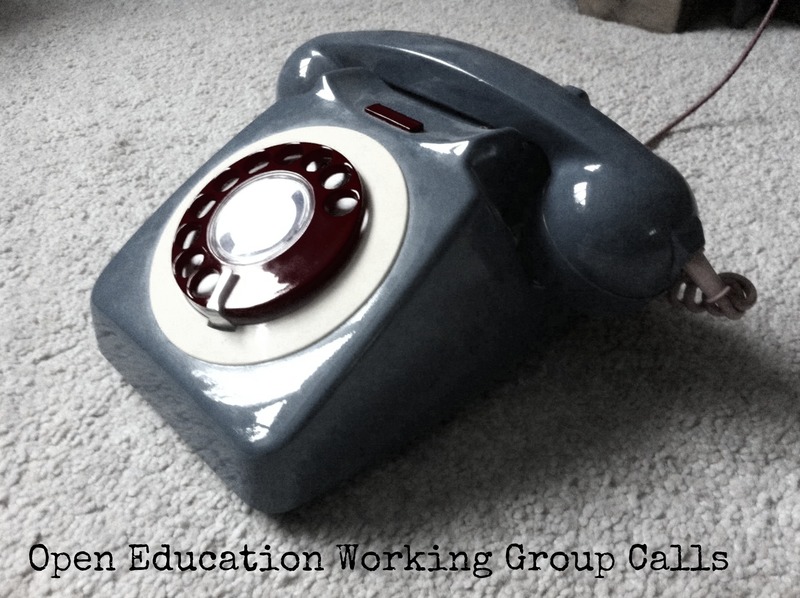 The main goal of the Coalition is to develop and promote the ideas of free access to knowledge and open educational resources. Currently, there are 30 members (individuals and legal bodies) at the network. Process of public order and certification of school textbooks works inefficiently. 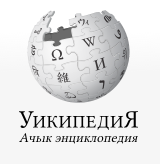 Amendments are planned for local copyright law in terms of public/open/free licenses, and in terms of that publicly funded educational resources should be openly licensed work on copyright issues and legislation; to increase teachers’ ICT competency, to make informational campaigns for promoting Kyrgyz Wikipedia etc.